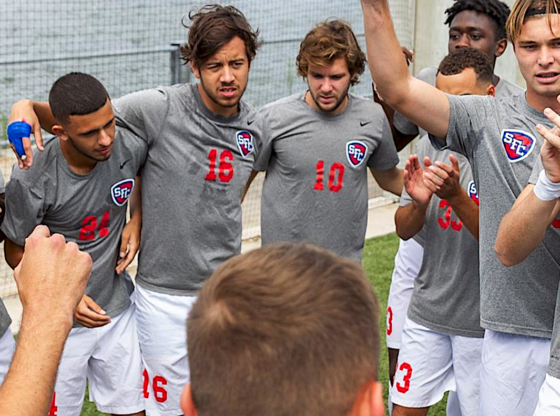 The SFC men’s soccer team needs to win its last two games of the regular season to be 100% sure of a playoff spot for the sixth straight season. This season, the team bounced back from a disappointing start but has struggled to reach the consistent heights of recent years during which it won the NEC Championship four times in five years. The SFC men were also the regular season champions in the last two years. The soccer team will play Sacred Heart on the road on Friday, November 2 at 3pm and then play Mount St. Mary’s at home on Sunday, November 4 at 1pm. Sacred Heart has not defeated SFC in the last seven matchups. Saint Francis (PA) and LIU Brooklyn have already clinched a spot in this year’s NEC Playoffs. SFC is currently in a fight for the last two playoffs spots with Bryant, Robert Morris University (RMU), and FDU. SFC is currently tied in fourth place in the conference with Robert Morris. The Terriers currently have an overall record of six wins and nine losses. The men have won three out of six conference games, defeating Central Connecticut State, Bryant University and Fairleigh Dickinson.